Our passion is transforming your business. So, we’re thrilled to announce a new addition to our suite of services: a social media audit! Many of our clients have brick-and-mortar businesses. They’re proud of the face-to-face connection they share with their customers and their community. But smart businesses know they also need to reach their audience online. Now more than ever, audiences connect to brands through social media. A social media audit evaluates your business’s presence and performance across these platforms. As you grow, you must monitor your content, your audience, and your reach. Social media audits streamline that process and optimize your business. When was the last time you changed your Facebook bio? Is your Instagram ready to capitalize on IGTV? Are all of your accounts posting the correct image sizes? Most people know that social media is important, but aren’t quite sure how to get the most out of it. From Facebook to LinkedIn, Instagram to YouTube, the landscape is wide, deep, and always changing. Each platform has its own unique features and algorithms that evolve daily. It can be overwhelming! That’s where a great audit comes in. Social media auditing not only organizes all of this information, it ensures that your profile is always up to date. If your socials aren’t evolving with each new change and feature, you’re missing out on potential customers. To many, audits have the reputation of being vast, painstaking, and a little tedious. 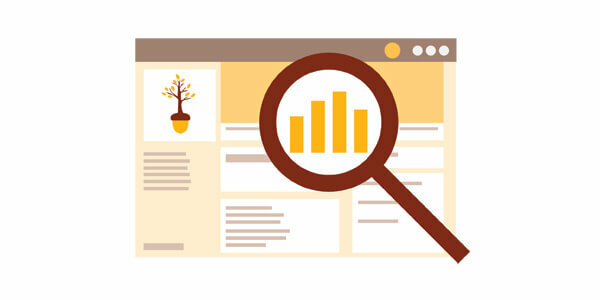 We love researching new features, analyzing trends, and monitoring progress. With customized templates for each platform, we understand how to get the most out of your page. And clients not only benefit from an itemized audit, but monthly reports on growth, engagement, and content strategy. Our audits are designed to keep your social media optimized and adaptable so you can focus on your business. We believe that transformation is ongoing: by providing immediate impact and continued growth, this service is one more example of that philosophy. Ready to hear more? Drop us a line!